Every tree in a forest has it's role to play; there's order in chaos; there's nature's own way of creating harmony and eco-systems. How different is this from a diverse group of children each with their own intelligence? 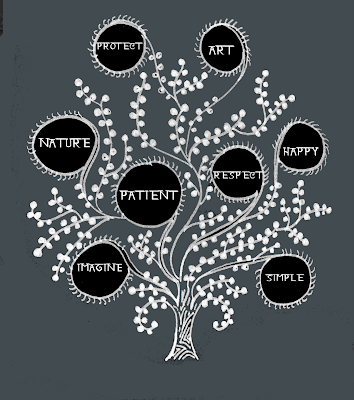 How difficult is it to orchestrate harmony? - My answer to the first - Not very. To the latter - Very very! us a tree in her laptop and we drew it like that. The class was very enjoyable. I want more art and craft classes. 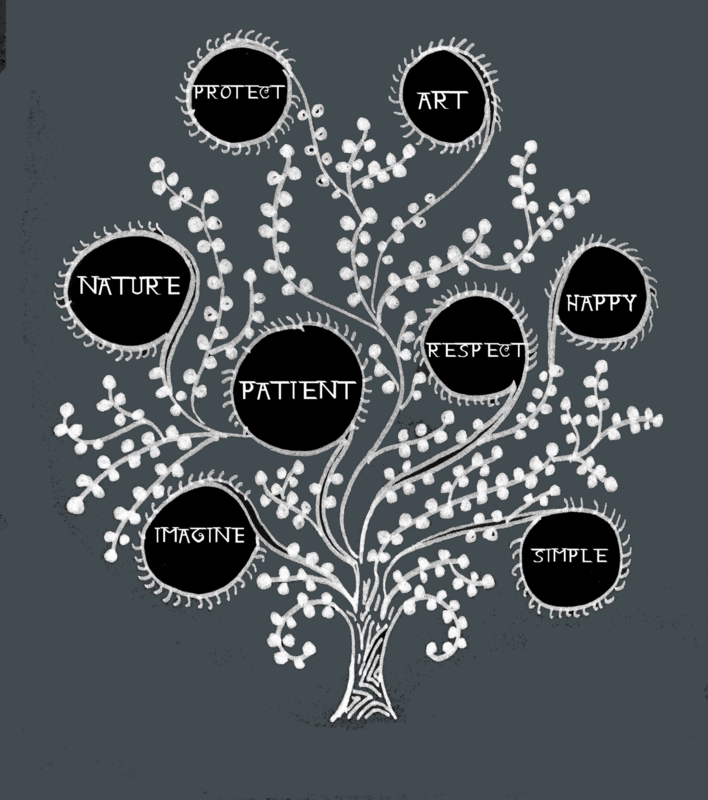 Salma Khanum [8th Std]: She showed some pictures and asked us to draw a tree. There were many people, animals and birds around. She asked us to draw ourselves. She announced a prize for best drawing and I got the prize. I am feeling very good and nice. I like arts & crafts. 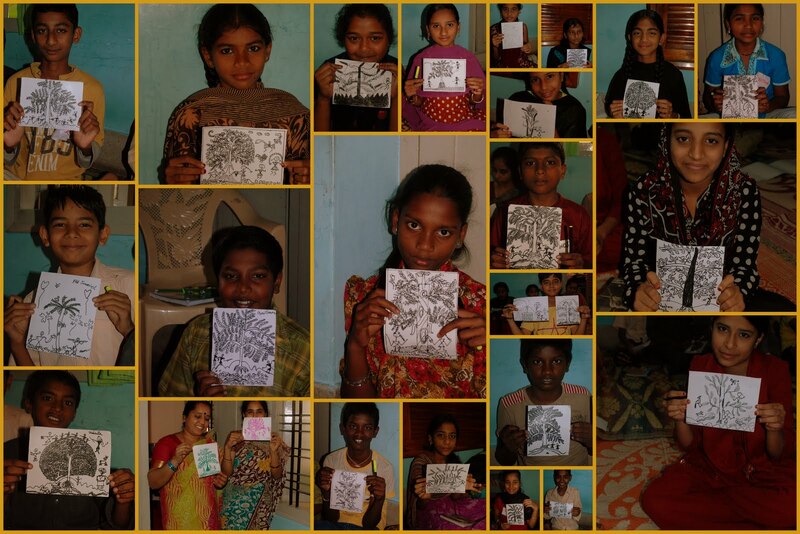 Ruksar Taranum [8th Std]: She asked us to draw any picture we are interested to do . She drew Dream School Foundation and asked us to stick our picture in it. We were all very interested. We enjoyed this class in the holidays. 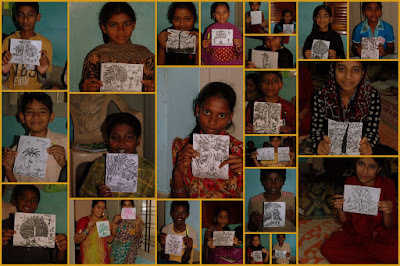 Zabi [8th Std]: She gave us small chits of papers and asked us to draw our photo. 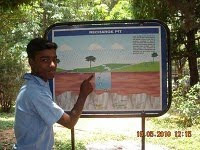 Megha miss put the chart on the wall. We enjoyed and we learnt this art for the first time. Nagma [8th Std]: She drew Maitri miss and Sabu sir and stuck the pictures on the chart. She announced a prize for the best drawing. I like this subject about art. We will never forget this class. We shared it with family and friends. Glad these children had fun during this session in October and hope they're having an enjoyable and safe Deepavali as well! Sackhumvit Trust and Dream School Foundation (DSF) organized a one-day outing for high school students at Govt. 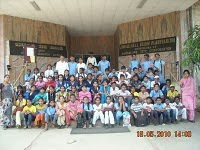 PU College to the Jawaharlal Nehru Planetarium (JNP) and Karnataka State Level Energy Park (KSLEP) on 13th May 2010.This event was organized as part of DSF’s summer camp programme and a total of 68 students participated in the day’s activities. The objective of the field trip was for students to learn about the solar system and recent innovations and applications of renewable energy. 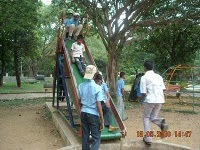 JNP was founded by the Bangalore City Corporation in 1989. 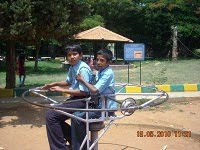 Later in 1992, the administration of the planetarium was entrusted to an autonomous body, the Bangalore Association for Science Education (BASE). BASE is devoted to the dissemination of science among the public and the student community. 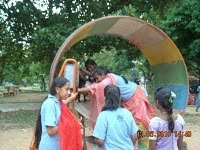 In addition to its famous planetarium, JNP also includes a science park and centre where visitors can explore some applications of science in a natural and playful manner. Fascinating models are on display such as models of DNA, resonant swings, whispering dishes, sun dials, kaleidoscopes, and a model of the polar satellite launching vehicle. None of DSF’s students had been to such an interactive science park where they could develop their minds while participating in their favorite pass time—playing!! Students were refreshed and inspired by their experience at JNP, thus highlighting the endless possibilities to engage youth with science through hands-on and child-centered teaching methods. 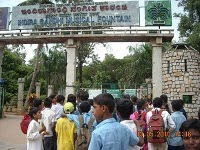 JNP also included a demonstration of RWH, which some of DSF’s students could immediately relate to based on their prior field trip to the Karnataka State Council of Science and Technology in October 2009. Ayyanar, a 10th standard student who is particularly passionate about working with his hands to create innovative machines and models, explained how to harvest rain water in paved vs. unpaved areas as demonstrated by the RWH facilities at JNP. He even discussed the purpose of a recharging pit, where harvested rain water is stored underground to restore our ground water supply. 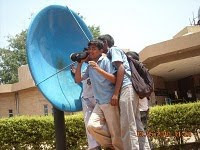 At the planetarium, students participated in a thirty minute programme which showcased wonderful images captured by the Hubble Space Telescope from a height of about 575 kilometers above the Earth’s surface. The programme discusses some of the landmark discoveries about the universe based on observations of the space telescope. It is a fascinating tour of the cosmos, briefly halting at various galaxies such as the Milky Way Galaxy. 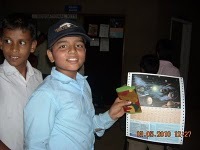 The programme begins with an introduction to the night sky, identifying the planets, stars and constellations. The twelve constellations in the zodiacal belt enable us to observe, study and formulate the motions of planets. Man’s understanding of the universe has undergone a sea of change since the advent of telescopes followed by space probes. The programme has liberal sprinkling of visuals as captured by these scientific instruments. The formation of solar system, including the sun, is also discussed. The programme includes many animations. Most interestingly, the programme examines our own position, the existence and significance of life on Earth, relative to the vast realm of the cosmos. After the solar system show, the students toured an exhibition of books, science kits, models, telescopes, photos, etc., all concerning astronomy. There was a weighing scale that shows one's weight on all the planets based on their respective forces of gravity, and gives a print-out for the cost of Rs. 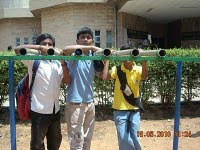 5/- It goes without saying that all of our students at DSF participated in this activity with great enthusiasm!. • Two high efficiency ceiling fans working for six to seven hrs/day. • One refrigerator working for 24 hrs/day. • One 21”colour TV operating for five to six hrs/day. • One P4 computer, multimedia with internet facility working for six hrs/day. In addition to the solar house, students also observed a solar swimming pool, battery and solar-powered cars, an energy generating slip and drum, a parabolic and box-type solar cooker, a wind-powered water pump, a solar-powered water heating system, and many other structures. 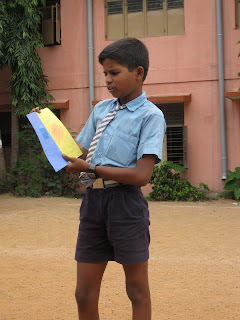 Students also participated in various computer-based energy quizzes and games, which enabled them to review various concepts of renewable energy. 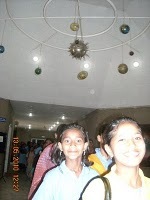 Overall, the field trip was jam packed with fun and educational activities. DSF’s students had a wonderful time exploring the realm of science through hands-on applications ranging from a tour of the solar system to learning how to manifest alternative, eco-friendly sources of energy. At the end of the day, students collected a wealth of information to share with their friends and family. It was extremely satisfying to observe their excitement and enthusiasm to participate in the day’s activities, explore new concepts, and to share their experience with others. Anjum and I worked on this piece, mostly Anjum did all the hard work. And this work has already received kudos from several fellow DSF members and friends. She's had many a pat on the back, the most rewarding of which are those pats coming from her peers! Anjum is also very good with making the mehndi patterns and has a commendable eye for precision, consistency and detail! 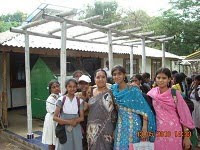 Development Alternatives is a non-government organization that manages the Community-Led Environment Action Network, “CLEAN-India”. The objective of this campaign is to develop a cleaner environment for towns and cities starting with activism at school communities. This nation-wide programme targets environmental assessment, awareness, advocacy and action, all of which is spearheaded by school students. 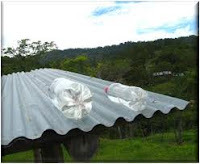 Starting from individuals, households to communities, villages and towns, students are encouraged to make their voices heard, anxieties understood and concerns translated into action for a cleaner environment. 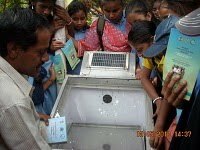 One of the main activities for CLEAN-India’s environmental assessment phase is the testing of air pollution and water contamination at local schools. 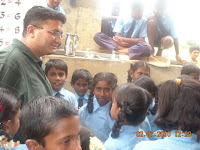 CLEAN-India works with students to test for air and water quality at regular intervals throughout the year to determine whether action needs to be taken to improve the school environment. 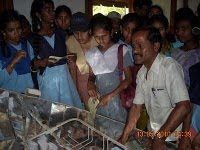 The experiments are also effective at educating students about environmental issues through hands-on experience. 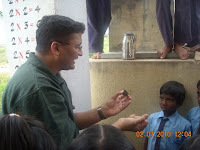 Sackhumvit Trust partnered with CLEAN-India in August 2009 to conduct air pollution testing with government school students associated with Dream School Foundation’s (DSF) Yeshwantpur and R.T. Nagar’s education and development centres. The sessions were well-received, as most students had never participated in a science experiment involving chemicals and lab equipment. 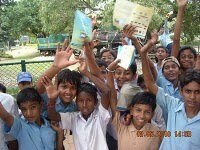 Students were also sensitized to the sources and prevalence of air pollution in Bangalore city, and the negative health-affects that air pollution can cause. 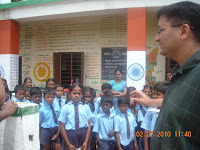 Based on the positive student response to CLEAN-India’s air pollutionexperiments, Sackhumvit Trust organized a series of water testing workshops with Ms. Shalini from CLEAN-India in February 2010. Our objective was to educate students about the necessary parameters for safe drinking-water and the main sources for water pollution. We also wanted to encourage hands-on learning by enabling students to conduct science experiments where they apply concepts learned at school. 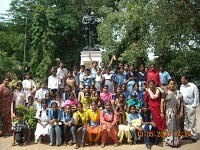 This time around, Sackhumvit Trust expanded our outreach and organized this workshop on-site at two schools in R.T. Nagar, Bangalore: R.T. Nagar Govt. P.U. 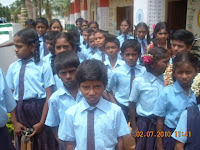 College (8th-9th standards) and Almubark Primary and Girl’s English High School (6-10th standards). Sackhumvit Trust also conducted the workshops for 8th-9th standard students enrolled at DSF’s R.T. Nagar and Yeshwantpur after-school tutorial programs. 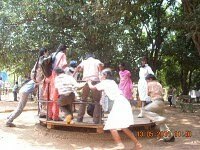 The workshop was very popular at the local schools with an average turnout of 150 students each session! 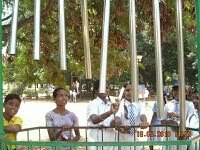 While the large audience is a strong indicator of the demand for such extra-curricular activities on-campus at low-income area schools, it would have been ideal to work with a smaller group so that the sessions could be more interactive and participatory. 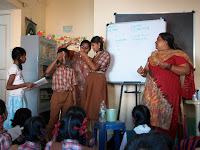 This was apparent at DSF’s education and development centres where the average group size was 20 students per session, thus enabling each and every student to participate in the science experiments and engage in dialogue with Ms. Shalini. 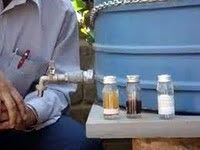 Jal-TARA Portable Water Testing Kits is one of CLEAN-India’s key program tools. 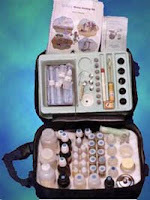 The kit can be used to perform basic tests to ensure water portability. It is an effective tool that enables students to put into practice the theoretical aspects of chemistry that are learned in the classroom. This empowers students to learn more about the quality of the environment and use their findings to create or demand solutions. The kit can test 14 essential parameters for drinking-water and river-water quality. The tests are broadly classified as physical, chemical, and biological. • Physical: pH, Temperature and Turbidity. • Chemical: Fluoride, Chloride, Residual Chlorine, Hardness, Iron, Phosphate, Ammonia, Nitrate and Dissolved Oxygen. • Biological: Coliform Bacteria and Benthic Diversity. Ms. Shalini commenced each workshop with a discussion of water bodies on Earth, the scarcity of fresh water sources, and the severe water shortages faced by communities across India. She then explored the various contaminants of water (as listed above), and the negative side-effects associated with each. Some pertinent examples include how the presence of nitrates in drinking-water (above a certain threshold) can cause “blue baby syndrome.” Similarly, fluoride can lead to the deterioration of one’s teeth and skeletal structure, and e-coli bacteria can cause acute water-borne diseases. Students also learned the implications of water hardness: that the presence of magnesium, calcium, etc., ions in water can leave deposits in water piping systems resulting in blockages and bursting. 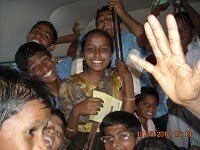 Ms. Shalini distinguished between parameters for drinking-water and that for surface bodies of water. For example, parameters such as Dissolved Oxygen, Benthic Diversity, and Turbidity are more important when testing for the water quality of lakes and rivers than drinking-water, as these factors are critical to the survival of aquatic life. 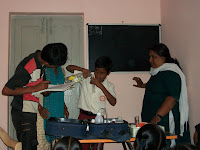 Following the discussion, Ms. Shalini invited students to conduct a series of water tests concerning the above parameters. 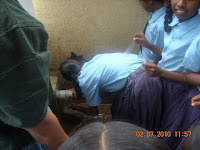 Water samples came from the tap and bore-wells of each school. 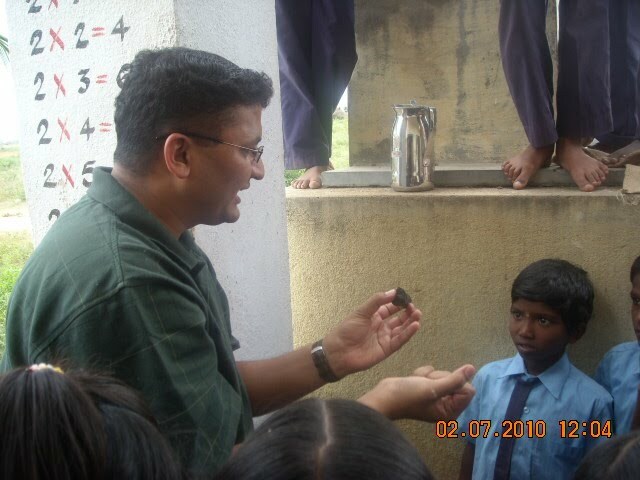 At DSF’s Yeshwantpur and R.T. Nagar centres, students also brought water samples from their homes. 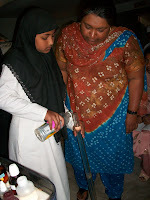 Ms. Shalini covered all experiments with the exception of testing for nitrate and iron levels, which required a heating appliance that most schools and centres did not have. These tests were conducted, however, at DSF’s Yeshwantpur centre, which had a gas stove on-site and student were thrilled to execute the additional activities. 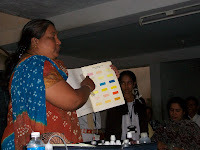 The experiments were effective at re-enforcing the importance of testing water quality prior to consumption, and Ms. Shalini made sure to link each activity with points covered during her discussion. 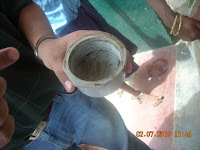 Although not directly applicable, students also conducted the tests for surface water bodies (i.e. turbidity) using their drinking-water samples. Overall, students enjoyed conducting the experiments—especially those involving the observation of color changes and titrations (most students were not familiar with this lab procedure). 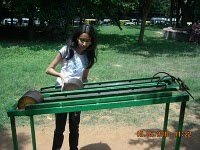 Ms. Shalini, and requested that she return to conduct CLEAN-India's air pollution experiment. Sackhumvit Trust would like to thank Ms. Shalini from CLEAN-India in helping us organize this event. We are also grateful to DSF for enabling us to work with students at its education and development centres, and for putting us in touch with local schools that would be interested in this activity.